Airline Transport Professionals (ATP) today accepted delivery of four Cessna CE-172 aircraft. Airline Career Pilot Program students fly 172s for their Private Pilot Licenses and their Commercial Single-Engine and CFI Single-Engine ratings. With the addition of these aircraft, ATP's fleet now includes 138 flight training aircraft: 82 Multi-Engine Piper Seminoles, 50 Cessna 172s, 5 Diamond Stars, and 1 Cessna CitationJet. ATP currently delivers more pilots to the regional airlines than any other single flight school, college, or academy. The company is successful through the efficient immersion of students in multi-engine airline-style flight training over a short time frame. The benefit for the customer is the best training on the market at an extremely competitive price. 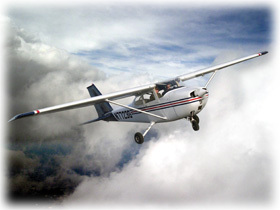 The safe and reliable Cessna 172 will continue to aid the company in meeting its strategic goals.